Tree Fu Tom – Season 1 (2013) – What's New on Netflix Canada Today! 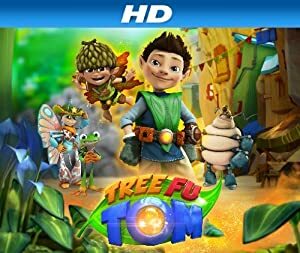 This animated series helps children develop motor skills as it follows the adventures of a boy who can transform himself into a magical tree creature. A boy goes to the woods behind his house and enters a magical world, where he becomes a superhero. A boy goes to the woods behind his house and enters a magical world, where he becomes a superhero.